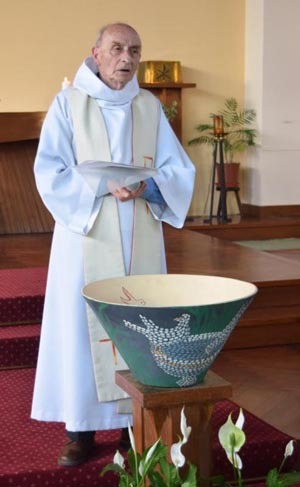 ROUEN, France (CNS) — The Archdiocese of Rouen has opened a formal inquiry into the cause for beatification of Father Jacques Hamel, who was killed while celebrating Mass in July 2016. 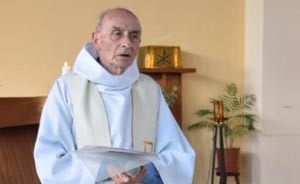 Father Hamel was killed July 26 as he celebrated Mass at Saint-Etienne-du-Rouvray Church near Rouen when, police said, two young men who claimed allegiance to the Islamic State stormed the church. After taking several hostages, the attackers slit Father Hamel’s throat and seriously injured another parishioner. Following a standoff, police killed the attackers, ending the hostage situation. “Father Jacques Hamel had his throat slit on the cross, at the exact moment he was celebrating the sacrifice of Christ’s cross. A good man, meek, brotherly and who always sought to make peace, was murdered as if he were a criminal. This is the satanic line of persecution,” the pope said.